In the same vein as Har Mar Superstar, Jonathan Coulton’s music reaches out and strokes your funny bone and eardrums in fell swoop. Where Coulton takes a sharp left is from Har Mar is his subject matter. Known all throughout the internet as the king of geek rock, Coulton has managed to parlay his techie tunes to relative stardom. It all started at a small Connecticut high school sometime in the mid to late 80′s when a frail band nerd decided to switch from a snare drum to a guitar in a somewhat successful attempt to allure more/any females of our fine species. Fast forward to Yale. Now further. It wasn’t until after Coulton quit his computer-programming job that he gained his notoriety. 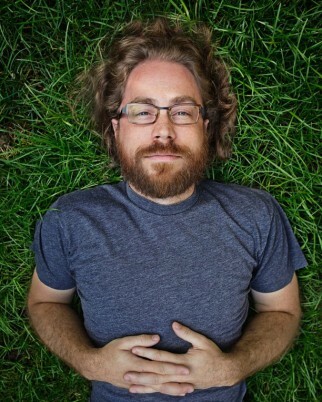 Though its mostly fun and games Coulton has worked for NPR, Popular Science Magazine and various music projects. Watching Coulton perform is rather entertaining; his shows have a great mix of comedy and melody. He’s even been known to throw in a rendition of, Baby Got Back, a crowd favorite no matter where you are.